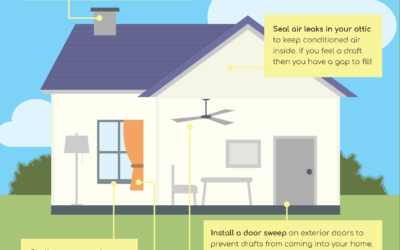 How important is indoor air quality to your health? All kidding aside, the air quality in your home affects your health and the health of your family, and it’s not always that easy to detect. The potential sources of air pollution could be lurking in any room of the house, but there is good news. Most solutions are easy, affordable, and quick. 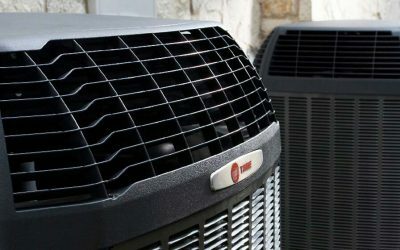 If the problem stems from a more serious issue, a professional HVAC technician can easily evaluate the quality of your home or indoor space and recommend the appropriate solution. 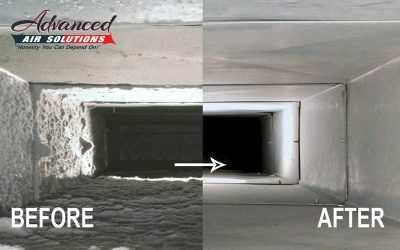 Sometimes, a professional duct cleaning is all that’s needed, while other homeowners might prefer a whole-house air filtration system. If you’re wondering whether your home’s air quality needs some TLC, read the rest of this post! Excess humidity in the air can cause unhealthy conditions. 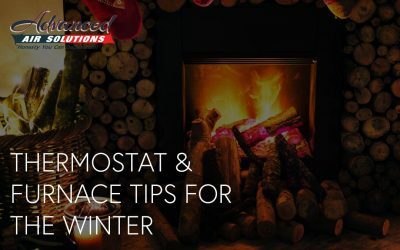 Recommended indoor humidity is between 30 and 50% throughout the year, so you may want to consider using a hygrometer to observe these moisture levels in the home. Mold growth will flourish in wet, dark settings, but it’s also typically easy to identify. If your house is showing signs of mold infestation, you should be able to detect a musty smell and green or black patches or spots. While it’s common for mold to grow around sinks, pipes, bathtubs, and other areas that are frequently wet, too much humidity in your system will produce mold growth in much less common areas like your walls, floors, and furniture. This means your HVAC system isn’t functioning like it should. A qualified HVAC contractor can pinpoint the problem and repair it for you. Take notice when you turn your heat on for the first time. Look closely at the air registers. If neglected, HVAC systems will collect dust in the ductwork, and puffs of dust or dirt will come out of the vents when the system turns on. This excessive dirt is a good indicator that your HVAC unit is probably in need of a professional air duct cleaning and/or no longer trapping the particles that it’s supposed to be. If you haven’t changed the system’s air filter in the last month, replace it with a new one. If you continue to see the excess dust settling on furniture and shelves, this is a sign that your ducts need to be cleaned. 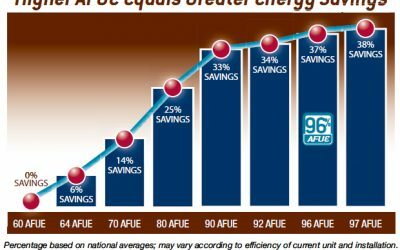 The air filter does protect you from airborne pollutants to an extent, but its main job is to maintain system efficiency. Since filters can easily get clogged with dust, it’s important to change them at least every two to three months, or more frequently if you run the air or heat more than usual. It’s easy to get used to your own home’s smell. But you may start to notice a lingering odor when you return home after a few hours away. If something is amiss with your air quality, you’ll be able to tell. The odor will be even MORE apparent after being away all day or over the weekend. Adequate ventilation keeps unpleasant smells from accumulating. If you notice a recurring smell or odor, chances are that your unit isn’t operating properly. 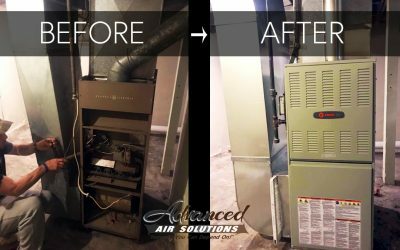 Most HVAC systems are designed to cycle stale air out and draw fresh air in, but some small changes to the house or system can make things go haywire. Take note of how particular odors move throughout the house, and how long they linger. 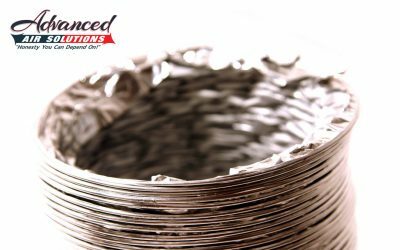 If they remain strong for an extended period of time in an isolated area, your home’s HVAC system needs professional attention. That cold you have might not be a cold! The health issues linked to the air quality in your home differ from person to person but if more than one individual in the house is experiencing some of the symptoms listed below, it’s quite possible that the issue is with the heating and cooling system. 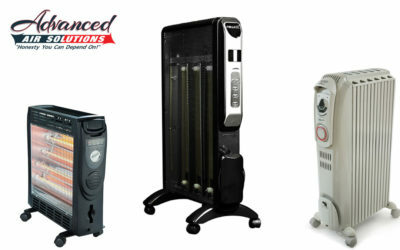 Poor air quality can arise from various factors including insufficient ventilation or external contamination sources. 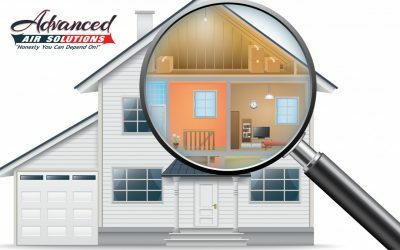 Fortunately, the experts at Advanced Air Solutions can help you find the best solution by doing a quick examination of your home, system, and air quality level. Call us today and schedule an appointment! 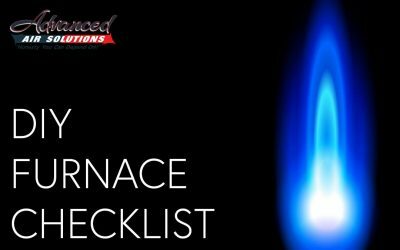 When Should You Consider Buying A New Furnace? Beat The Winter Rush! 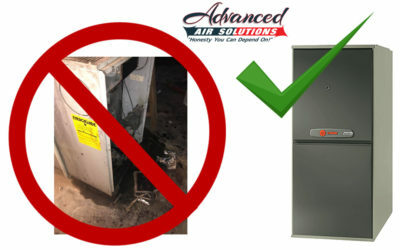 Schedule A High Efficiency Furnace Installation & Receive A Free Duct Cleaning. 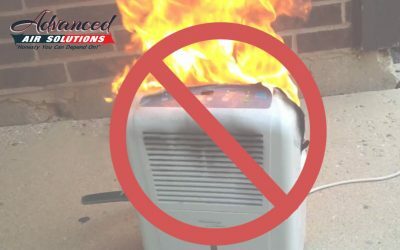 Is Your Dehumidifier A Fire Risk? Things You Should Know. 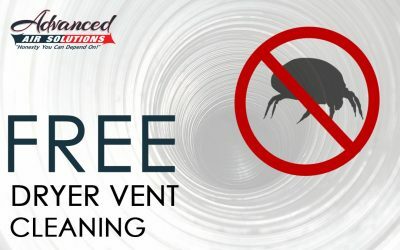 Schedule our professional dryer vent cleaning. Save time. Save money. Save clothing. Ask us about financing and our very popular Service Plan! Financing offered with approved credit by Wells Fargo Bank, N.A., an Equal Housing Lender. Ask for details.